On the eve of the vote of no confidence in President Zuma, a vote which came within twenty one warm caucus bodies of toppling him, John Kane-Berman (JKB) proposed the establishment of a “Scorpions and Special Prosecutor” (SASP) unit as the solution to the problems posed by rampant corruption, the “silent coup” and the capture of the state. While JKB cannot be faulted in his analysis of the symptoms of corruption abroad in the land, he has failed to address the causes of the demise of the Scorpions sufficiently to take into account that a SASP solution would be just as vulnerable to demolition as the Scorpions were back in 2007. We have to learn from our mistakes. 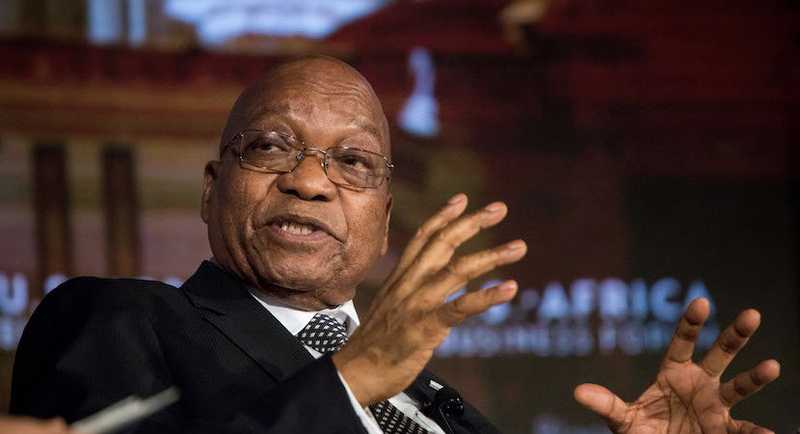 The trouble started in December 2007 when Jacob Zuma was able to persuade a majority of the loyal cadres of the ANC gathered at Polokwane to vote him into power. This majority included, to their shame, the Women’s League, the Youth League (whose leader was willing to “kill for Zuma”) COSATU and the SA Communist Party. All of the leadership of every grouping, with the exception of the Women’s League, have lived to regret the decision and to reject the Zuma leadership. Malema has formed the EFF, the SACP has asked Zuma to resign, the then COSATU leader, Zweli Vavi, now calls what he then dubbed “the Zuma tsunami” the “greatest disaster in history”. The current COSATU leadership refuses to share any public platform with Zuma. He has been booed off the stage in Bloemfontein and was subjected to similar heckling at the memorial service to Madiba in Johannesburg. It is testimony to his tenacious grip on the ANC, which should really know better, that Zuma survived the monoco. Zuma was acutely aware at the time of his election in 2007 that the small matter of the conviction of Schabir Shaik, his financial advisor, for corrupting him, and related charges against him would have to be attended to if his ANC presidency was to be followed by the real prize, presidency of the country and, through that high office, access to state capture. He quickly set about undermining the criminal justice administration. An urgent resolution was passed at Polokwane requiring the immediate dissolution of the Scorpions, a crack unit of the National Prosecuting Authority, which was fearless in its pursuit of the corrupt, including Zuma, Shaik and Jackie Selebi, then Commissioner of Police. By a stroke of less than felicitous serendipity, the then National Director of Public Prosecutions, Vusi Pikoli, was under investigation for his fitness for office due to his preparedness to prosecute Selebi, to the chagrin of the Mbeki cabinet. Having been suspended for going after Selebi, Pikoli was later unfairly dismissed for going after Zuma. This led to litigation and a handsome pay out to Pikoli, who very properly refused to give any assurance that he would not proceed with the prosecution of Zuma, if reinstated. Pikoli’s acting successor was malleable to executive manipulation and decided, quite wrongly, after hearing about “spy tapes” Zuma obtained illegally, to withdraw the charges, all 783 counts, of corruption pending against Zuma. This, taken together with the blow to the Scorpions, cleared the way to the disastrous two term Zuma presidency which will end in 2019 or sooner, assuming the state is not completely captured by the Zuptoids before then. The mechanism for implementing the decision to dissolve the Scorpions was a simple one. As the Scorpions were mere creatures of statute (an amendment to the NPA Act) it was possible to close them down by a simple majority of votes in parliament. It was a simple majority in parliament that created the Scorpions in the Mbeki era, and also destroyed them, once Zuma had his hands on the levers of power. Civil society and opposition parties did not take the machinations of Zuma lying down, nor did Pikoli. The latter was eventually paid out and exonerated of all alleged wrongdoing in the settlement agreement. Today he is police ombudsman in the Western Cape; his children complain that his continued loyalty to the ANC is an indication of battered wife syndrome, but perhaps he is playing the long game with other good people who remain in the ANC, despite the taint of the Zuma years. A campaign to save the Scorpions drew nearly one million signatures. The litigation aimed at the same goal saw the Constitutional Court seized of the matter on three separate occasions. In 2008 a bold bid to head off the scheme to close the Scorpions failed, in 2011 Bob Glenister won an important victory in which the court laid down, in binding fashion, the criteria for effective anti-corruption machinery of state and found the Hawks, the successors to the Scorpions, legally wanting due to their lack of independence from political influence and executive interference. Further litigation that ended in 2014 brought about some refinements to the legislative dispensation for the Hawks, but they have not proved equal to the task at hand, hence the SASP suggestion by JKB. The problem with JKB’s suggestion is that the SASP will be just as vulnerable to closure by feral members of the political elite as the Scorpions were. One of the five criteria laid down in 2011 by the Constitutional Court is that the anti-corruption entity should enjoy security of tenure of office. This safeguard is, arguably, the only criterion that did not apply to the Scorpions. Their vulnerability, as mere creatures of statute, rendered them liable to be closed down by any politician able to command a simple majority in parliament. Zuma took full advantage of this weakness in the legislated structure of the Scorpions. A SASP arrangement will not be able to withstand a similar assault in the future. Something better is required. If the cause of the demise of the Scorpions was their vulnerability to closure, then a less vulnerable solution than SASP is required. The Hawks are not that solution. They do not measure up to any of the criteria laid down by the Constitutional Court, both in their structure and in their operations, such as they are. 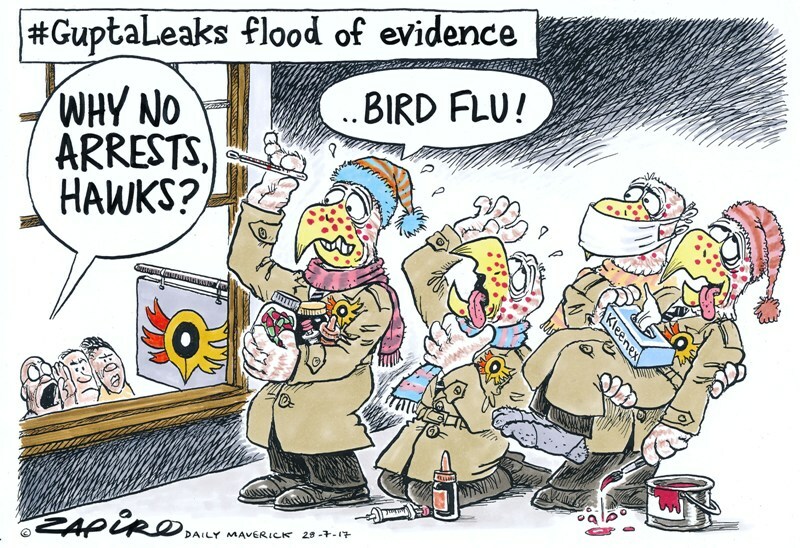 The Hawks are not specialised (their mandate is priority crimes of all kinds) they are not adequately trained (unlike the Scorpions whose recruits were sent off to Scotland Yard and the FBI for proper preparation by the Serious Frauds Office and the FBI anti-corruption specialists). The Hawks are clearly not independent. They have been shamefully abused by the Zuma faction to persecute (not prosecute) Pravin Gordhan and others. The Hawks are also not properly resourced, as they should be in terms of the requirements of the court. They too, like the Scorpions, are mere creatures of statute and serve at the pleasure, but not the behest, of a simple majority in parliament. File Image: The captured Hawks going after former Finance Minister Pravin Gordhan. 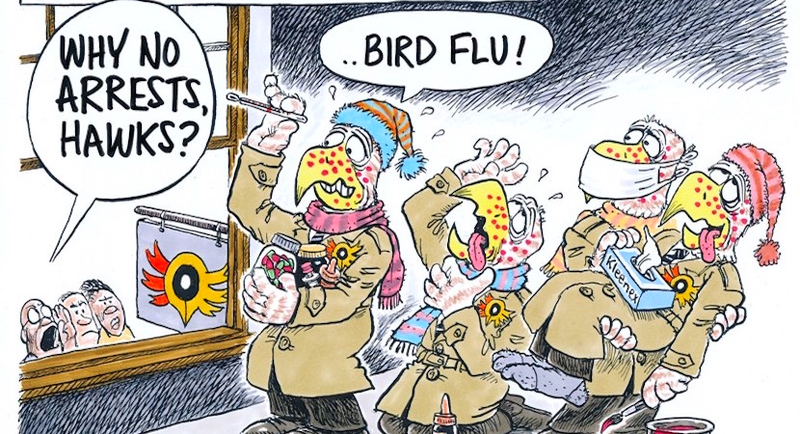 More cartoons available at jerm.co.za. Addressing the structural weakness that caused the closure of the Scorpions, its lack of security of tenure, is a necessary step in the protection of any unit created to combat, prevent, investigate and prosecute corruption effectively. This constitutional framework has served the Public Protector and the Auditor General well. Not being accountable to the executive branch of government limits executive interference and enhances independence, given the watchfulness of opposition parties in the National Assembly, to which they are both answerable. The Eagles would enjoy security of tenure of office and could include the special prosecutor that JKB has suggested. They would have to be created by a constitutional amendment and could only be closed in the same way. This means that two-thirds of parliament would have to vote to close the Eagles down, while a simple majority could see the demise of the SASP suggested by JKB. This extra protection gives greater security of tenure of office and facilitates the capacity to act without fear, favour or prejudice. JKB has been accused of dreaming impossible dreams by promoting his SASP notion. The Eagles are an even more impossible dream, given that two thirds of parliamentarians would have to support the idea. However, big dreams are worth having and good big dreams are worth working towards. It has been suggested elsewhere that the establishment of the Eagles ought to be in the election manifestos of all of the parties seriously contending for power in the 2019 general elections. If the electorate sees corruption as a threat to our collective future as a nation, as it should, then it is not so dreamy to require a commitment to the Eagles from all parties contesting the elections of 2019. Only one, rather misguided, speaker in the monoco debate sought to defend the president against the stinging allegations by the opposition that Zuma is “corrupt and broken”. The ANC knows that its popularity at the polls is under extreme pressure. Is it too much to ask it to convert its lip service to being against corruption into a commitment to create the Eagles, if not now, then after Zuma? It is certainly worthwhile for all right thinking people to support the creation of the Eagles. If sufficient voters realise the centrality of effectively combating corruption to their own progress and prosperity, to a better life for their children, then a popular demand for the Eagles ought to prompt all political manifestos to include a commitment to the establishment of the Eagles. This would give substance to the anti-corruption stance of the opposition parties and a necessary lifeline to the post-Zuma ANC. 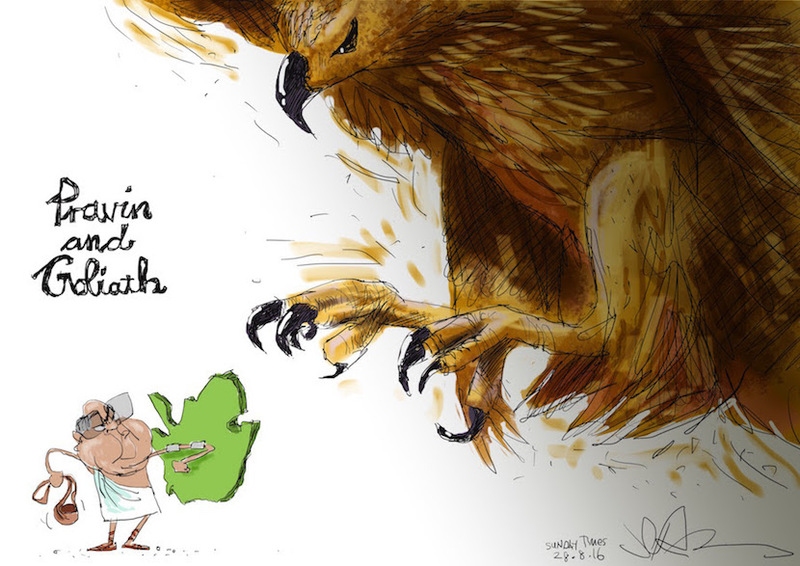 The Eagles will be crucial to clawing back the country from those who have captured it; without effective, efficient and independent anti-corruption machinery of state the silent coup will succeed, the capture will be completed and life in the shattered dream of the rainbow nation will be nastier, more brutish and shorter than it is now. Generating the necessary political will to make the Eagles the darling of all right thinking political parties is the work of the branches, the political representatives, the party candidates and the ordinary voters of the land. If the political will is not present, we have only ourselves to blame. JKB: a SASP solution will not suffice; please put the not inconsiderable influence you wield behind the Eagles. You will be in good company with Desmond Tutu, Thuli Madonsela and Bob Glenister. 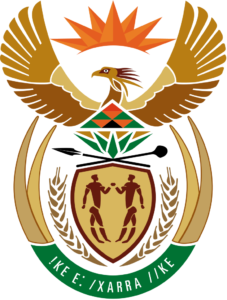 Legislated apartheid only lasted from 1948 to 1990, the absence of laws establishing as necessary a unit as the Eagles ought not to take that long. The electorate is not stupid. The dream is worth the prize. The nation still controls its own fate.